Although cruise trips may be pricey, it’s guaranteed to be worth it considering that people can enjoy multiple things at once. Cruise trips will allow people to enjoy the ocean and travel to different places while spending their days on a moving hotel-like structure. 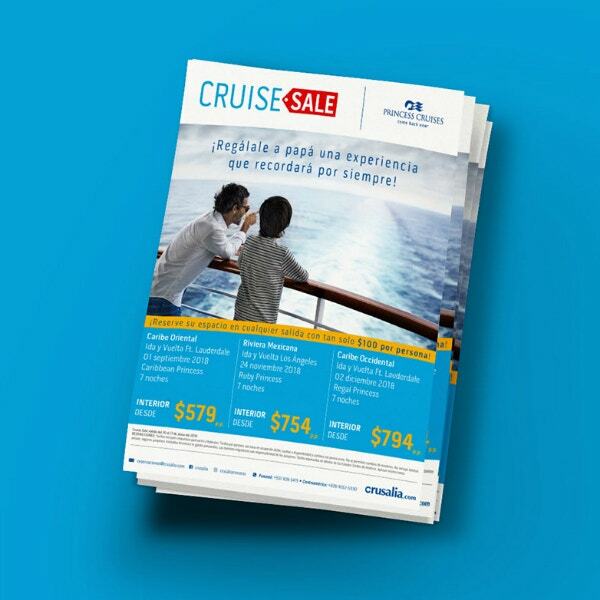 With our flyer templates below, encourage people to go on a cruise trip. 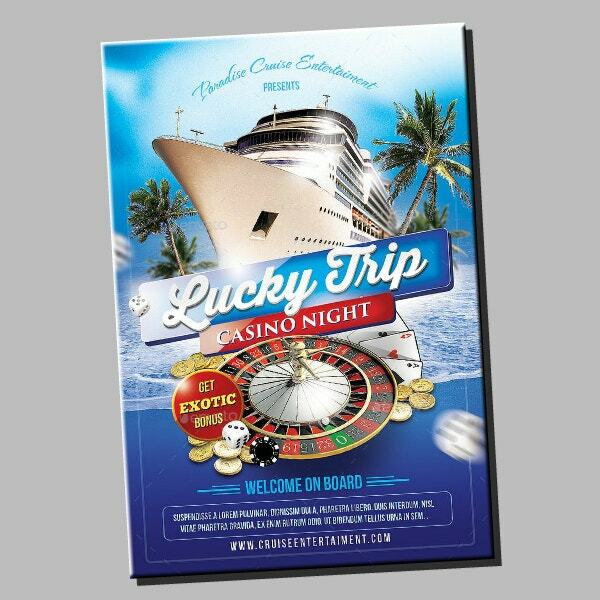 First and foremost, identify your purpose and set your goals for making cruise ship flyers. Of course, it already makes sense that your intention for making promotional flyers is to gather clients but what else? For one thing, you may want to educate readers about the benefits of traveling or about the cultures of different places. What do you wish to include on your flyer? If you have already set a goal, this may be a lot easier since you now have a clearer picture of how readers might react after going through your flyer. As much as possible, keep your flyer relevant and concise without having to cram the layout with too many elements. In terms of resources, this includes the tangible materials needed for printing the flyers and the flyer design template to provide you with the initial layout. But if you’re planning to get it printed by printing companies, you will only need to prepare the template and the editing software. Considering you have gathered the resources and downloaded a template, now’s the time to start designing your flyer. Simply edit the downloaded flyer template according to your preferences and if you’re using a compatible editing tool—e.g. Apple Pages for flyer templates in Pages—you’ll be able to edit it fully and easily. You may want to do these during the designing phase or after, what matters is that you don’t forget to do them before printing your flyers. Evaluating the design means checking if it is already able to appeal to an audience and proofreading means making sure that there aren’t any errors in grammar and/or spelling. In order to keep your reputation at par with the best ones in the competition, you will really need to make sure that your services and facilities are more than just average. 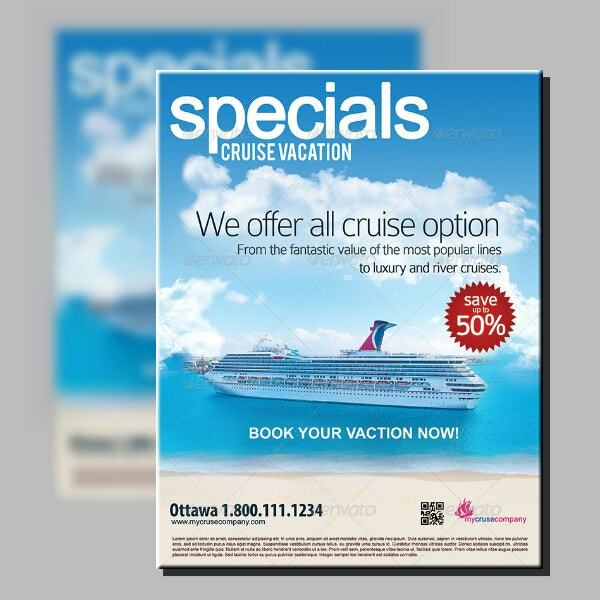 The flyer template above will allow you to make special offers but if you prefer to have it separate, you may also use a cruise travel voucher template with it. Oftentimes, cruise ships hold various parties for their guests or passengers which is one way to get them entertained. Indeed, people love to party wherever and whenever possible and if you’re planning to host a similar kind of party but on land, you may also want to check out our DJ party flyer template. Because of its beautiful beaches and mesmerizing sights, the Caribbean has become a common stopover for cruise ships. 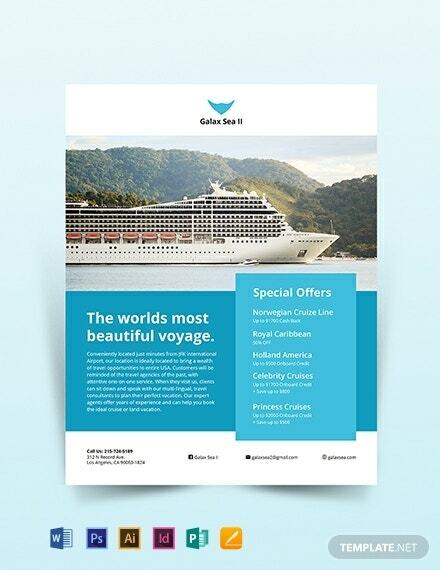 By using the flyer template above, keep your readers notified of the ship’s route and its stopovers. Also, don’t forget to include your contact details in case people might need to ask questions about the trip. 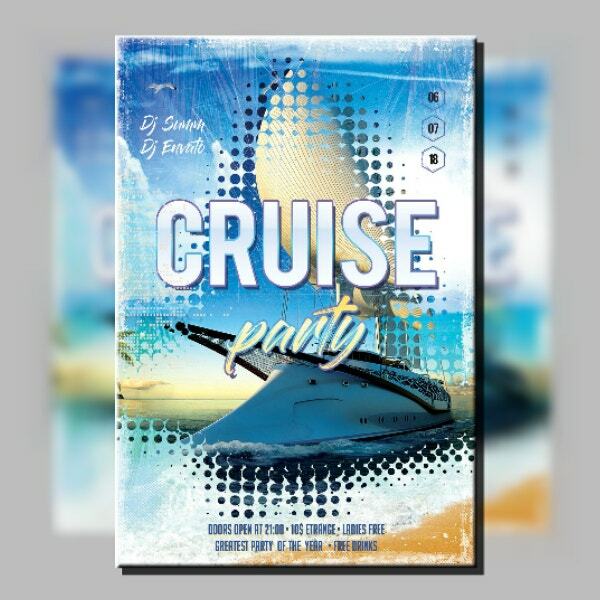 Don’t hold back when trying to advertise your cruise party, give your readers as much information they deserve without cluttering the flyer’s layout. Check out the template above as an example of how it’s done, the entire flyer is divided well and the bottom half is where the party details are all listed. If the previous template seems quite distracting even with the very limited elements, you might want to go for something a bit more simplistic such as the one shown above. This minimal flyer template is perfect for emphasizing the content more than the design, and it gets the message across very effectively. It doesn’t have to be summer to go out on a cruise trip, although doing it during the summer season would make the experience a whole lot better. 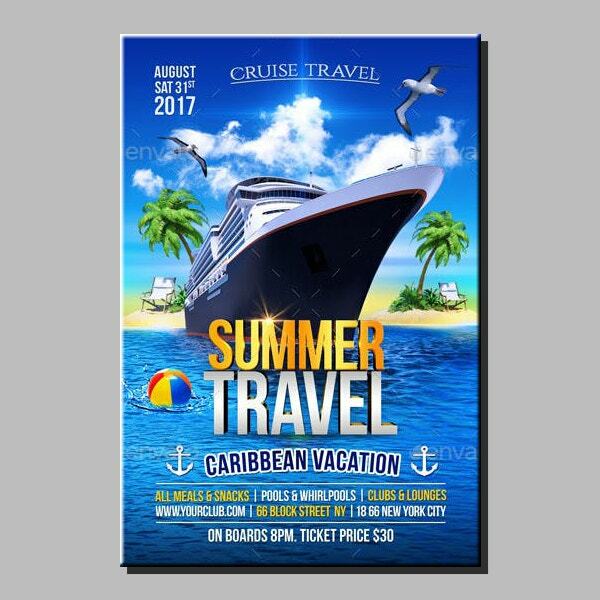 While using a flyer like the one on top is a good way for your business to get noticed, you might be interested in using a cruise travel brochure instead since it’ll allow you to add more content. Keep it fun and make guests look forward to another party in the future. It’s always great to throw a party while out in the ocean, it makes the gathering a whole lot enjoyable and memorable. 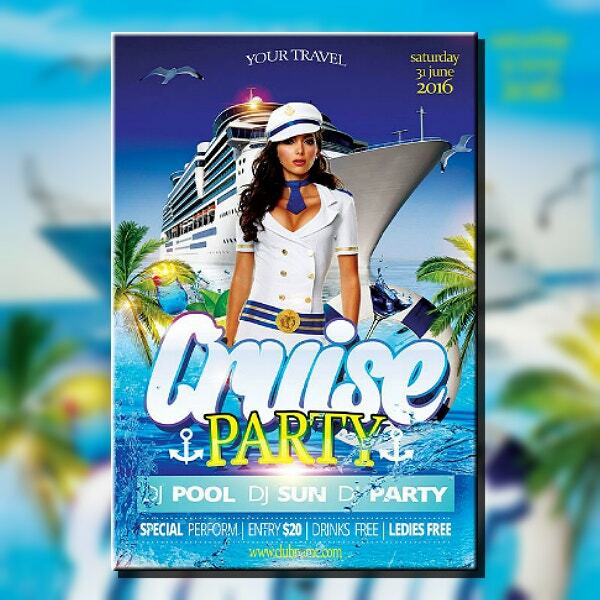 To effectively gather a crowd, you might want to download and use the cruise party flyer template above. The goal of your cruise flyers should be to inform and entice people into spending some time and money just to unwind from all the stress. If people keep thinking about the expenses, they’ll probably choose not to book for a vacation but if they think of the experience, they’ll most likely have a more optimistic decision. 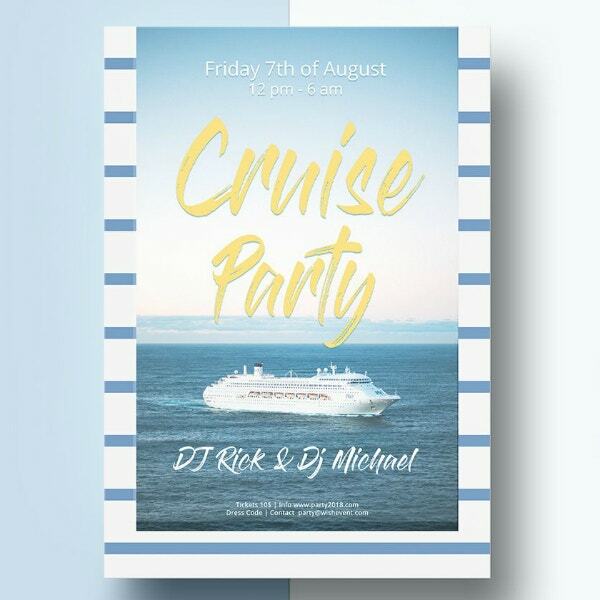 Here’s another flyer template meant for cruise parties but this one looks simpler than the previous template. This would be a perfect layout if you prefer a cleaner look that can be edited using Adobe Photoshop. In addition to that, this flyer template in PSD also works well with GIMP. Another sought after attraction in cruise ships is their casino which has or should have more than enough games to keep the guests entertained for the entire duration of the trip. If you’re planning to offer discounts or freebies to the guests, you may check out our casino voucher template. 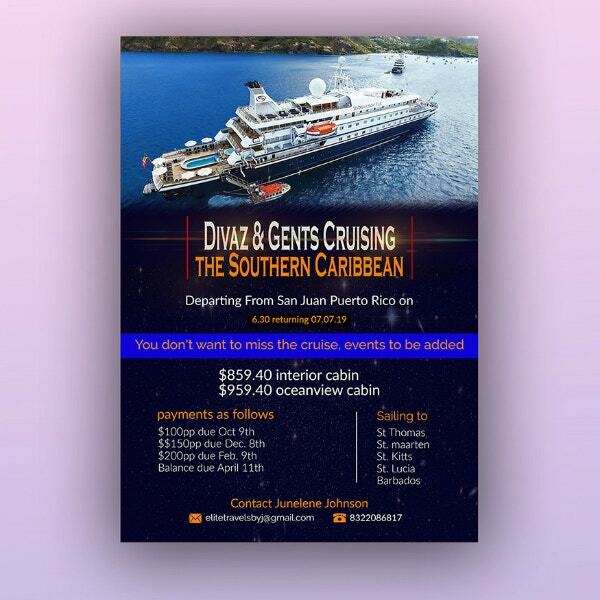 Just like the rest of the party flyer templates in this article, the one above has elements that are very well-arranged and will allow readers to appreciate every single one. If you’re planning to gather guests by using something other than an invitation, don’t settle for less, use the template above or use a party brochure instead.